Fancy or simple? Label customization has never been that easy. Tape Label Studio offers a great set of default color styles that you can use in any edition. These styles are used to colorize your labels (e.g. the text, background, barcode, etc.) and to improve readability. 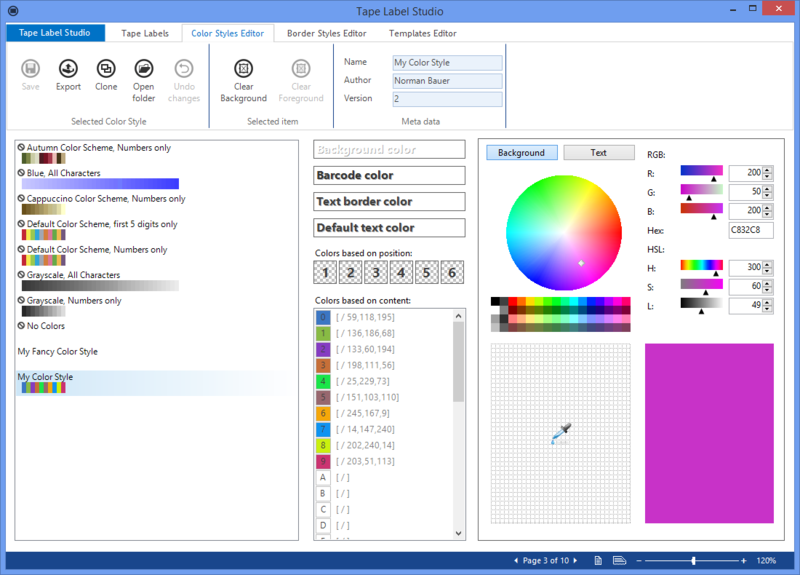 But Tape Label Studio also offers an easy way to create or customize your own style – the Color Styles Editor. This great tool helps changing any color in your labels. Once created, you can always re-use your styles. 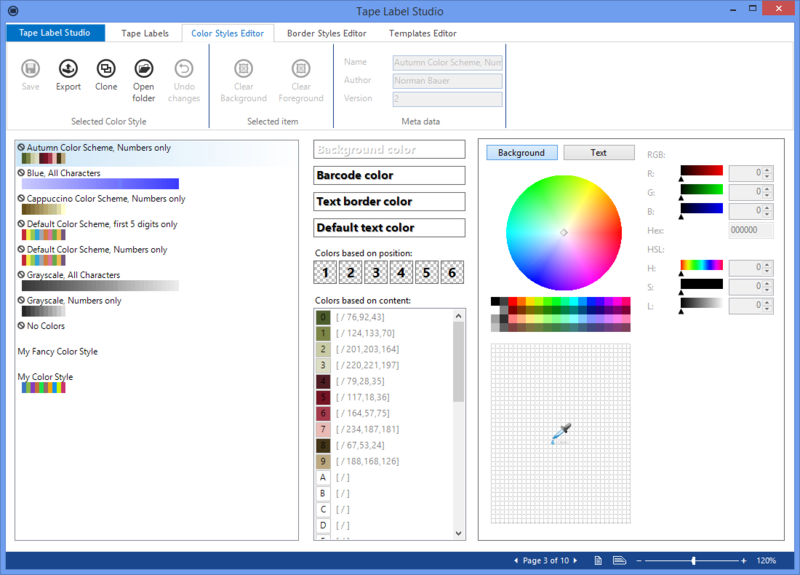 Color Styles Editor is included in the Professional and Enterprise editions of Tape Label Studio. Customize label borders or even label templates.